Indian Coffee Board’s newly appointed Chairman – Mr M S Boje Gowda, who is the first non-executive chairman of the Coffee Board under the Ministry of Commerce and is a veteran coffee grower from Chikmangaluru district in Karnataka’s Malnad region – said Board will urge the centre to increase subsidy on drip-irrigation equipment to 80 percent, from 25 percent for small growers to harvest water for plantations. He assured newly elected 32-member Board will soon meet and finalise recommendations to the government . New board’s main concern is to solve the irrigation problems that are being faced by small growers. Mr. Gowda is the first coffee grower to become the Chairman of the Board after a gap of 70 years. In the past, the post was held by bureaucrats.Coffee planters from across the State, who came to the city as he took charge on Wednesday, expressed immense hope of their problems being solved with a coffee planter as the chairman. He showed the facts like horticulture and agriculture farmers are getting 80 percent subsidy on drip irrigation equipment and the government will be urged to extend the same to coffee planters. “My first priority is to get higher subsidy to small so that they can buy equipment to build tanks and ponds to store excess rain water during the monsoons and revive water bodies for steady supply of water to the plants,” Gowda said. He said small growers are suffering with lower production due to absence of enough water bodies or tanks to store and harvest it. He also briefed the current season drought situation as coffee plantations are rain-dependent, consecutive drought over the last three years has severely affected bean production in Karnataka, Kerala and Tamil Nadu. Chairman also attributed the decline in the annual rainfall in the coffee-growing southern states over few years to climate change and global warming. 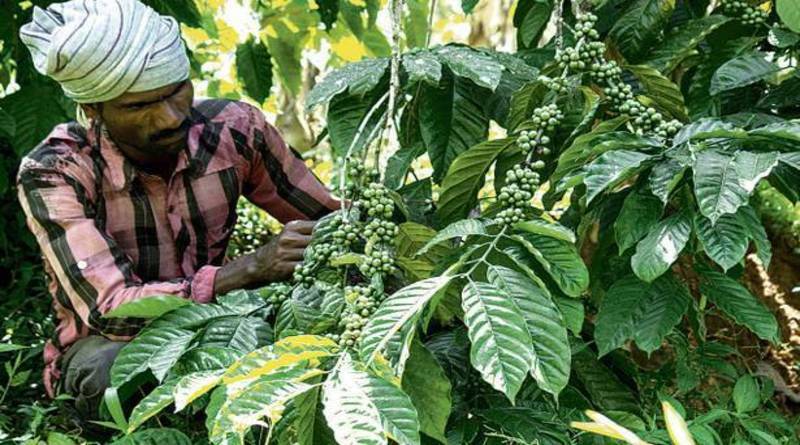 He said that rainfall in the state’s coffee-growing areas across the Western Ghats declined 40% from 100-120 inches per year to 50-60 inches over the last year, resulting in lower production and less ground water. The annual per capita coffee consumption in India is not even 200 grams, while in the western world it is 7-8 kg, thereby leaving tremendous scope to boost the domestic offtake. He said there was a need to boost consumption beyond the traditional consuming States of Karnataka, Tamil Nadu, Andhra Pradesh and Kerala. Coffee Board Secretary Srivatsa Krishna said the body was exploring the option of using drones for better crop forecasting. Chairman urged growers to come out with region-specific brands such as Chikmagalur and Mysuru. New chairman also said board will work with the Union government towards the ending of indiscriminate use of chicory — used as an additive with coffee powder. ಕಾಫಿ ತೋಟಕ್ಕೆ ಬೆಳ್ಳಿ ತೋರಣದ ಅಲಂಕಾರ!